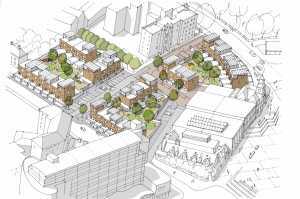 Alec Hamlin, Development Manager at Blueprint, discusses the growing popularity of group custom build communities in the UK and points to Nottingham’s Fruit Market development as a shining example of the theory in practice. Nottingham’s first ever group custom build community, the Fruit Market in Bath Street in Sneinton, will eventually be made up of 40 sustainable and architecturally unique homes where buyers will have designed the layout and look of their property with an architect. We’re excited to announce we’ve just received outline planning consent for Phase 1 of the project and can now progress to the next stage of the project. 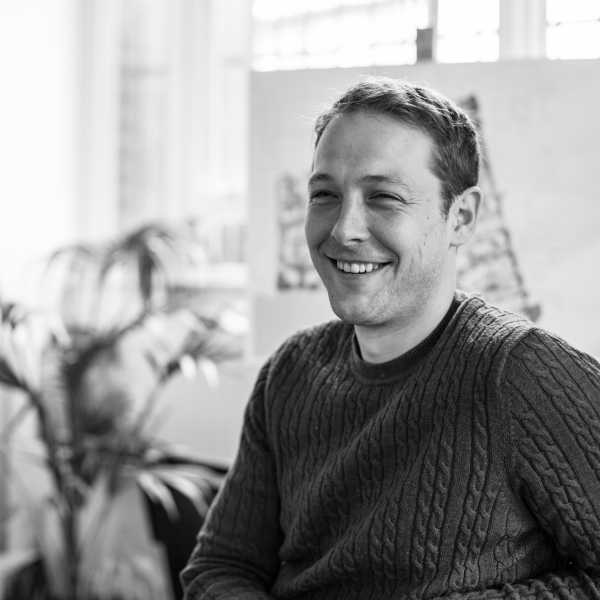 The concept of group custom build is still fairly young in the UK – but it is already capturing the imaginations of developers like ourselves at Blueprint, as well as the interest of home buyers who are keen to have a real input into the design of the space they live in. This creative element isn’t offered at mainstream, volume developments and, combined with the fact that tackling the housing crisis is now a major priority for Government, we think group custom build offers an appealing and vitally alternative way of building homes. We’ve seen a broad demographic register interest and put down deposits for Phase 1 of The Fruit Market, illustrating that the benefits offered by the group custom build mechanism are universal. From the simple pluses such as knowing your neighbours before a brick is even laid, to more detailed benefits such as having control over the interior and exterior appearance and layout of your home, feedback to date has shown that this new model of development has the potential to really shake up the house building process. At the Fruit Market, Blueprint takes the lead and guides future residents through the process – offering them a structured approach to creating their new community. Imagine it to be similar to choosing a new car – the base chassis remains constant for each customer, but how you personalise the car is your choice entirely. This means that with your home, you can choose, for example, whether to have balconies and big windows, a double height space and a smaller second bedroom, or to add a ground floor extension. The end product is a bespoke place to live that suits the tastes and needs of the home owner. Then there’s the communal spaces too. Here, the group has the opportunity to come together and design their shared space, be it into a garden, a play area, a barbecue or outdoor event space, and then bring their vision to life. The option to benefit from a shared space is unique and not something which many developers would incorporate into a speculative scheme. The overarching aim of group custom build projects is to bring people together to achieve a shared vision, pooling creative ideas and in the long term for each resident to benefit from an enhanced, unique property. The process is already well established and extremely popular on the continent, particularly in Northern Europe where home-owners are attracted by the chance to truly shape the community they will live in. We firmly believe that in 10 years from now, once mortgage lenders and the legal profession have got to grips with the mechanisms, group custom build will be an increasingly common type of development. Home-buyers can design their homes and get to know their neighbours before moving in, and developers get the benefit of a pre-assembled pool of customers – everyone wins. 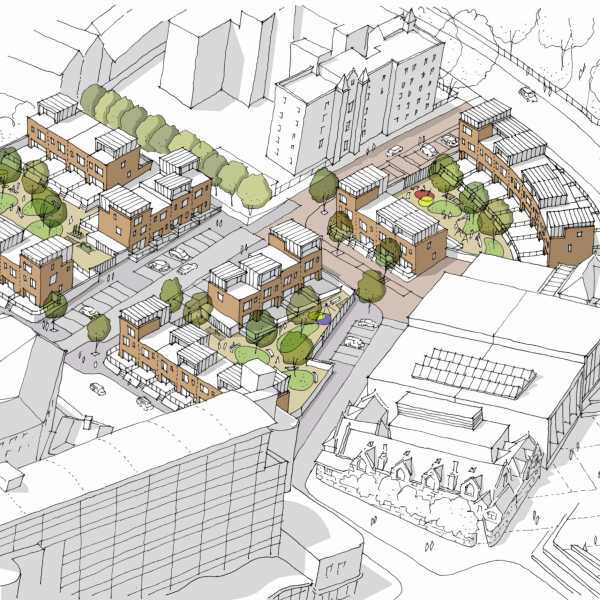 The £8m project is just a few minutes’ walk from Nottingham’s cultural hub of Hockley, on the doorstep of Victoria Park – one of the city’s largest green spaces – and is next door to the multi-million pound redeveloped Sneinton market.